“. . . Nowadays, England and France are never mentioned, yet once we counted so strongly on them for a good stout backing. We thought this was to be a bloodless duel and that we would get out of the Union, because if they hated us so, why should they want to keep us! We are as sanguine as ever, though, desperate as our case seems. “Oh for one single port! If the Alabama had had in the whole world a port to which to take her prizes, to refit, etc., I believe she would have borne us through. [The Alabama was a Confederate raider that was highly successful in attacking Union merchant shipping. One of the most famous ships of the war, it was eventually sunk off the coast of France on June 19, 1864.] If we had had one single point by which to get at the outside world and refit the whole Confederacy; if we could have hired regiments from Europe, or even imported arms, ammunition and food for our soldiers. . .
“. . . Buck and Judy went down to the Hospital with me today. There were several wounded men to be given breakfast, after their wounds were attended to by the surgeons and nurses. Of course we are only in the feeding department. At one time I was detailed to see to the breakfast of four men who could not chew at all, so cat-lap was the word. Hominy, rice with gravy, milk and bread. One was shot in the eye, but his whole jaw was paralyzed. Another, the worse case, had his tongue cut away by a shot and his teeth with it. We worked like galley slaves from five in the morning until half past eight, when the train bore away the whole of them, and we waved our handkerchiefs to them and sat down, tired to death. “There was a table where all the men with crutches were sent, and Judy told Buck to go and wait on them, which she did, her blue eyes swimming in tears all the time. She was so shy, so lovely, so efficient; all the same, I cannot bear young girls to go to the hospitals, Wayside [Hospital] or otherwise. The comments those men made on Buck’s angelic beauty! “Mrs. Fiske, the good genius of our Wayside Hospital, had her fine cow stolen by one of her own servants and made into beef before the theft was discovered. “Virtue is not rewarded in this world,” said Isabella solemnly . . .. Madame Pelletier denounced Calline to us. Poor Calline is a Sandhiller [a “nickname given to any ‘poor white’ living in the pine woods which cover the sandy hills in Georgia and South Carolina], and rough to the hungry, sick and sore soldiers. “A thousand dollars has slipped through my fingers already this week at the Commissary’s. I spent five hundred today for sugar, candles, a lamp, etc. . . . If you could see the pitiful little bundles this five hundred dollars bought. 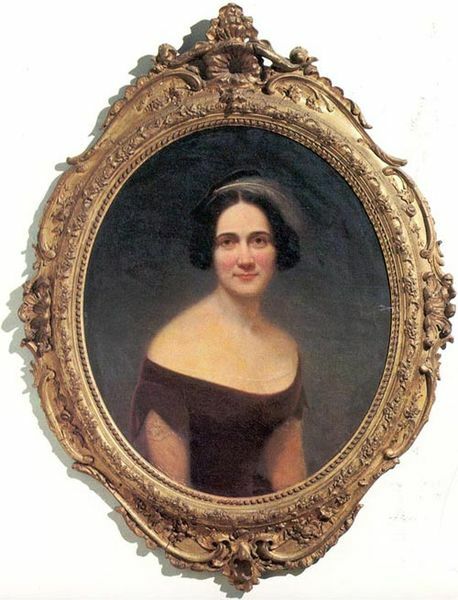 Mary Boykin Chesnut, A Diary from Dixie, Ben Ames Williams, ed., pp. 445; 449-50. “. . . I went to Atlanta last Fryday to view the remains of the Gate City. [Atlanta was nicknamed Gate City of the South because all the region’s major railroads converged on the city.] Gate to Purgatory I should judge by the Looks, most every building is marked either with Bomb-Shells or bullets there and some families yet remaining. It is the most poverty stricken place I have yet been in. Well my opinion of the whole place is so poor that I can say nothing in its favor at all. It, and every other southern City, deserve nothing better than a general destruction from Yankees. We could see where their slave pens and Auction sales had been. the more I see of this miserable country the more I think these Rebels deserve to be severely dealt with, for the high sin they have been guilty of committing in buying and selling their betters. God will bring this Country out of the thicket Yet. . . .
Robert E. Bonner, The Soldier’s Pen, pp. 107-8.